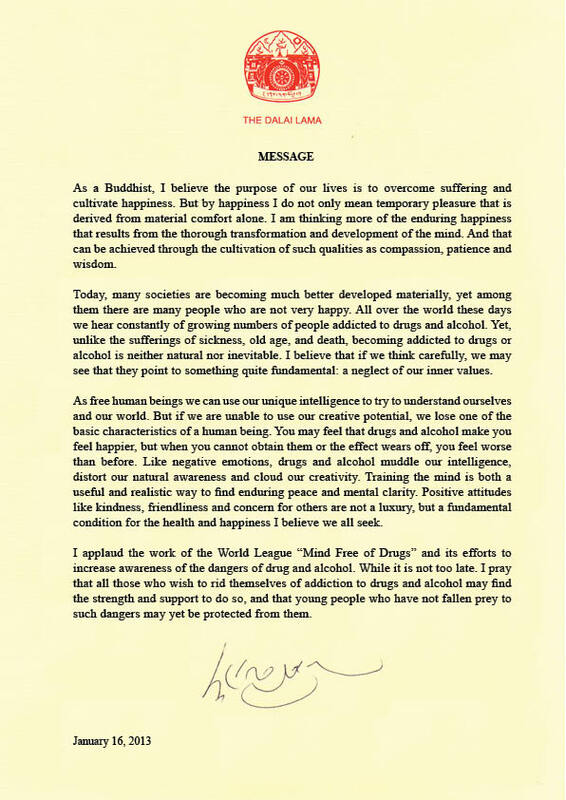 His Holiness Dalai Lama XIV :: We are supported by :: World Anti-DrugTransnational Internet contest - "Maya"
The 14th Dalai Lama is the 14th and current Dalai Lama. Dalai Lamas are the most influential figures in the Gelugpa lineage of Tibetan Buddhism, although the 14th has consolidated control over the other lineages in recent years. He won the Nobel Peace Prize in 1989, and is also well known for his lifelong advocacy for Tibetans inside and outside Tibet. Tibetans traditionally believe him to be the reincarnation of his predecessors and a manifestation of the Bodhisattva of Compassion. The Dalai Lama was born in Taktser, Qinghai (also known to Tibetans as Amdo), and was selected as the rebirth of the 13th Dalai Lama two years later, although he was only formally recognized as the 14th Dalai Lama on 17 November 1950, at the age of 15.